"My knowledge as a real estate attorney helps me provide to you the best representation possible." Nicole knows real estate. Her legal practice as a Florida real estate attorney adds value to her clients in all areas of the transaction from contracts, negotiations to closings. Nicole knows how to make her clients’ sell or purchase feel seamless and properly guide her clients. Her eye for decorating and special touches help make a house a home. As a buyer, Nicole takes the time to know the neighborhoods and assists buyers in finding the right neighborhood for them. She educates her buyers on the different contracts, contract terms and negotiations. Nicole also stays up to date on the latest new construction homes. As a seller, she focuses on presenting your home to its best potential with hiring the services of other design and marketing professionals. She spends hours working on her sellers’ homes to assure the home is ready for the market. Nicole showcases her homes on her website, and utilizes a team of professional service providers such as a photographer, highly regarded staging companies, virtual tour providers, and graphic designers to assist in marketing her client’s properties. As a mother of sons, she and her husband stay active with them through running, swimming and playing in the yard. Nicole’s family enjoys snow skiing, biking in the mountains and ocean sports. She also enjoys cooking and baking and spending time with her dogs. Nicole believe in building a healthy community. As such she donates, on behalf of her clients to Habitat for Humanity with each transaction. Nicole is also a proud contributor to the MSC Foundation and believes every person can make a difference. 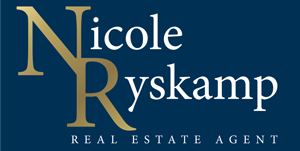 As my family settles into our new home, I am so grateful for the stellar service we received from Nicole Ryskamp. Nicole's real estate expertise, law background, and knowledge of the local area combined with her perseverance and kind spirit create a realtor that is simply unmatched. We had a very tight time schedule coupled with a finite budget and preferred area for our new home, but even with those barriers, Nicole found us the perfect house in our desired location at a fantastic price. Nicole was available to us from our decision to buy a home in the tight market of Lakewood Ranch through the closing and beyond. We are so thankful that we utilized Nicole's services for our real estate needs, and I would wholeheartedly endorse her for anyone's real estate needs. Nicole Ryskamp is a professional individual that works for her clients. She goes out of her way to make the experience wonderful and painless. In the beginning she listens to what you want, helps narrow down choices all the way to the end. The end is not just the finding, it is the closing. As a real estate attorney she makes sure you know what you are signing and helps structure the offer to make sure it is your intent. Nicole went the 'extra mile' for us in helping get a professional to come out and evaluate an issue found on the inspection - a quality professional was available and she met them at the house to get an evaluation and have it delivered to us, as I was unavailable due to work and time constraints. Nicole stepped up and went over and above to help our family gain our new Florida Home. What a wonderful experience!